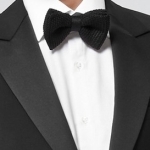 Biltmore Tuxedos prides itself on exceptional service and attention to detail. We pledge to make our clients look and feel their very best for all formal events in their lives. Choose from an impressive selection of in stock styles. Submit measurements on-line and pick up in store. Bring in a any fabric color, we can duplicate it. With an impressive selection of men’s formal wear for rental and sale, Biltmore Tuxedos offers an experience that is second to none. From fit to finish, the quality of service that goes into outfitting our clients is as apparent as it was over 60 years ago when we began. People traveling from out of town? Whatever your event, Biltmore can effortlessly accommodate out of the area clients. All we need is your measurements. Simply click the link below to get started. tuxedos and accessories for your prom. Ask us about our color matching options. 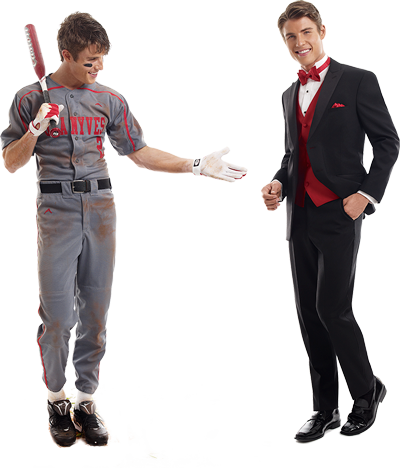 Learn how you can win a FREE Tuxedo rental for your prom. 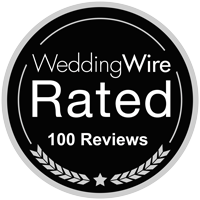 Biltmore Tuxedos is exclusively recommended by the areas's finest reception sites. "Biltmore Tuxedos outfitted my family and bridal party for our wedding. They were very easy to work with and very flexible- even when measurements had changed from the first fitting to the day before the wedding. The sales team worked efficiently to make sure everyone was happy and everything fit. We would highly recommend them to others." “I rented the Allure heather grey suits for my groomsmen. The slim fit for each was spot on. Length of the pants perfectly rested on the shoe. No sloppy extra slack like other rental places. Sleeves were just right. Jacket fit hugged their body nicely. Overall, great looking tux." 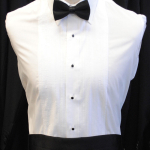 Builtmore Tuxedos is conveniently located in downtown Ridgewood, NJ. We serve our large surrounding community with small shop personalized services. Visit our contact page for a map and directions to the shop.